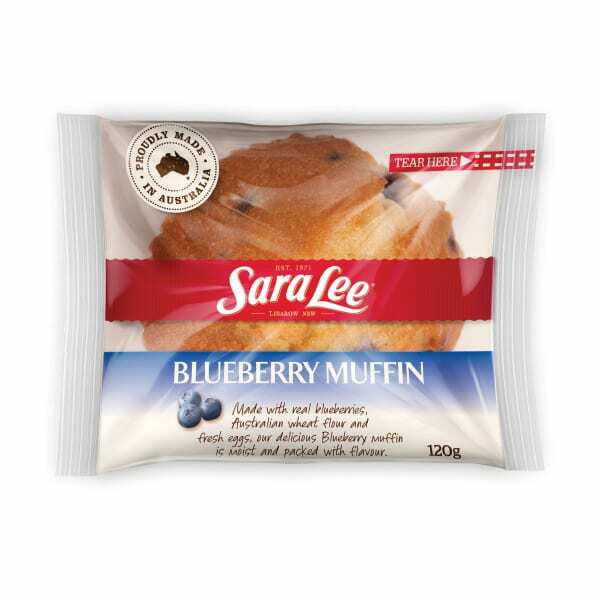 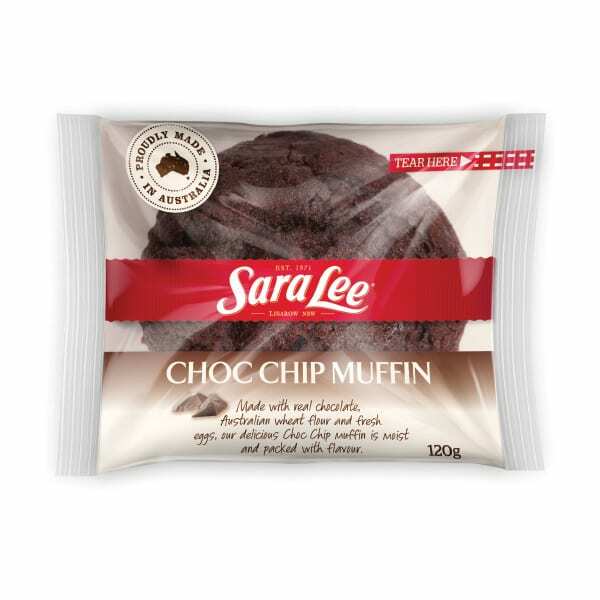 Sara Lee Double Choc Mervin Muffins are made using delicious chocolate chips and developed with kids' tastes in mind. 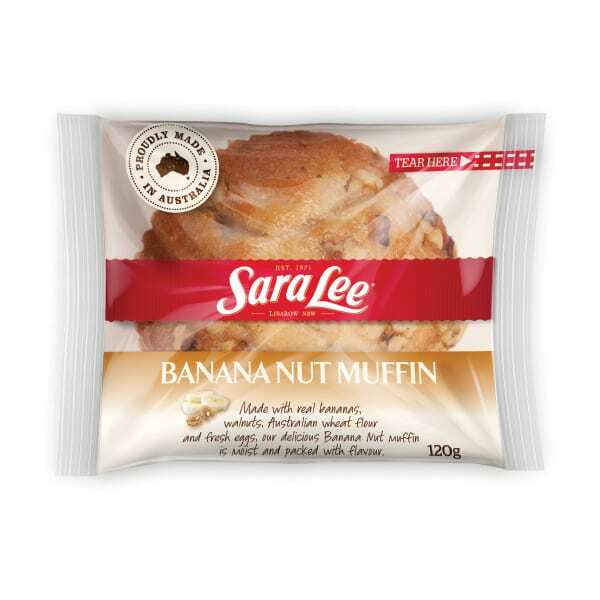 Sugar, wheat flour (thiamine), egg, canola oil, apple, inverted sugar, dark chocolate (4.5%) (milk, soy), cocoa, whey powder, thickener (1412), salt, raising agents (450, sodium bicarbonate), emulsifiers (477, 471, 475), natural vanilla flavour, preservatives (202, 223), vegetable gum (415). 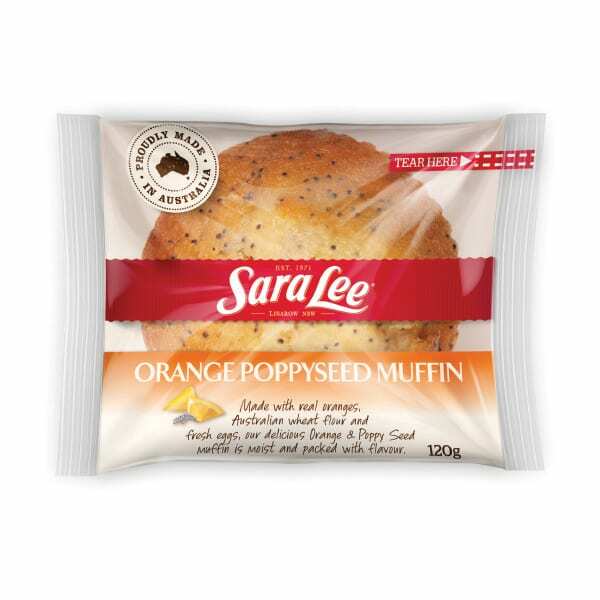 Cocoa solids: 5%.